Welcome back everyone! I thought I'd title this post with a little pun... Hearts Of Pandora is the name of one of my favourite Pandora jewellery pieces, and one of my favourite necklaces that I own. Delicate and elegant, feminine and glamorous. I have always been a loyal lover of the brand, my charm bracelet never leaving my wrist. Last year I had the privilege of travelling to Thailand, to visit the Pandora factory in Gemopolis, Bangkok. This place was the real life heart of Pandora, and I wanted to write this blog post to explain why, and why this trip made me love my Pandora jewellery so much more than I did before. So first, a bit of background. 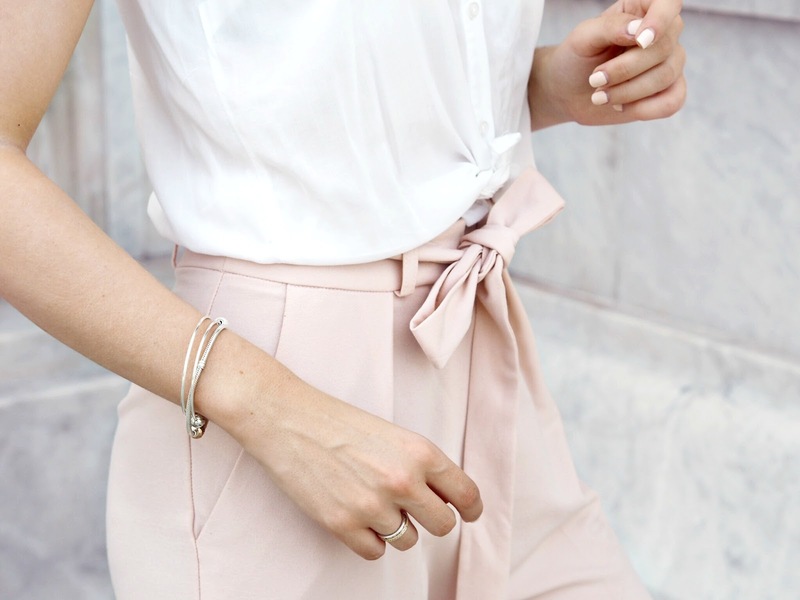 Pandora is the number one jewellery brand in the UK, creating 100 million pieces of jewellery every year. It sounds like a total machine. When I was invited to visit the factory, I was pretty confused, as I pictured huge mechanical apparatus, churning and spitting out rings and charms by the minute, and I thought, why would they want to take me to see that?! I could never have imagined how intricate, and personal, the jewellery making process actually is. Every single piece, is hand-finished by expertly skilled craftspeople. And when I say highly skilled, I mean it. To reach the approved level of skill, training can take up to a year. I actually tried my hand at creating one of the signature Murano glass charms, and even with the lovely lady's hands guiding me, it was a total fail! It is utterly unbelievable how intricate and complex the tasks are that these incredible people complete hundreds of times a day. 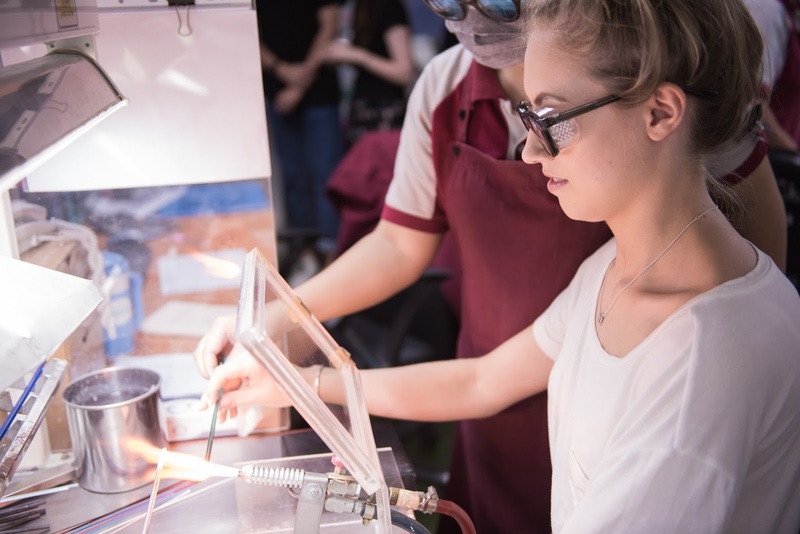 There are so many stages involved in creating a piece of jewellery- in fact each piece passes through thirty pairs of hands before it's finished. I wish I could list all of the individual stages, but there are so many I can't remember! You honestly wouldn't believe it. I have never been so fascinated. Aside from the incredible craftsmanship, I was so warmed to see how well Pandora looks after their employees. 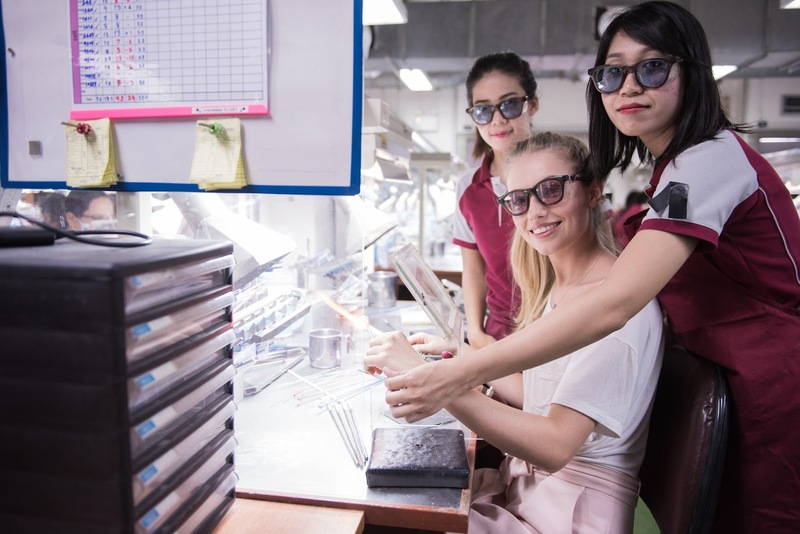 Jewellery factories in Bangkok have received some pretty negative press recently, and Pandora wanted to show us how differently they work. The typical working week in Thailand is 6 days, but just like the London office, the factory is closed at the weekend, and everybody finishes early on Fridays. The perks include healthcare, insurance, free travel to and from work, pensions, free meals, maternity/paternity leave, educational classes and workshops, and even the occasional fun trip to a theme park! All of which are rare and often unheard of in similar workplaces. And they do this for all of their 12,000 employees. The employee turnover rate is incredibly low (is it any wonder?) and in fact, the first factory employee still works there 20 years later! 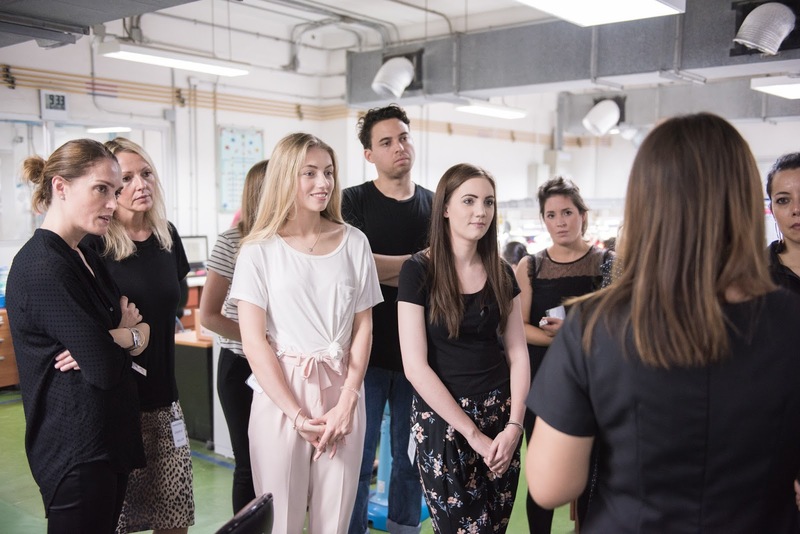 The job is so sought after, that when Pandora announced (by word of mouth only) the opening of their new factory in Chiang Mai, ten thousand people queued all day outside the facility to be interviewed. And every single person was seen. The atmosphere in the factory was incredibly calm and relaxed; not what I expected at all. In a lot of companies, employees are paid per piece of product they produce, so there is an urgency and a panic to create as much as possible. Pandora's employees receive a fixed salary, to ensure each piece is perfectly crafted and not rushed, and to maintain a pleasant, relaxed working environment. On top of all of this, the high quality sterling silver and 14ct gold, is almost all recycled, and all the gemstones and pearls are conflict free, ethically sourced from suppliers approved by the Responsible Jewellery Council. When it comes to sustainability, ethical business practices, working conditions and environmental impact, Pandora is leading the game, and a real model to other companies. I wanted to share this with you, as my experience gave me an entirely new love for my Pandora jewellery. It was a privilege and a truly heartwarming experience, to meet the ladies and gentlemen behind the rings, bracelets and necklaces I love so much, and it made me love and respect Pandora in a way I hadn't before. I really hope you enjoyed this post. Let me know in the comments if you have any Pandora jewellery you love, and if this made you look at it in a different way.